Do you ever wonder where your cat goes when they head out for the night, or worry about your dog being scared and running off when on a walk? If so, then a pet tracker could be the answer! 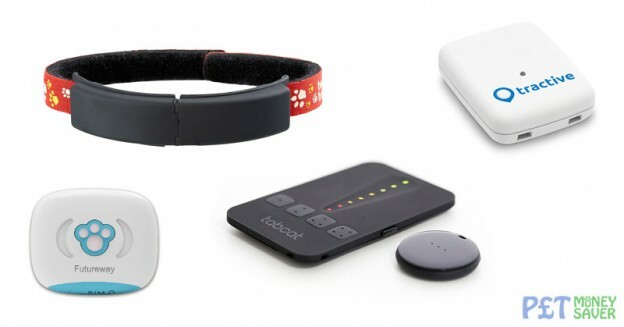 But with so many devices to choose from, how do you know what is the best pet tracker to buy? To help you decide, we’ve reviewed 15 of the best trackers for cats and dogs available in the UK. A pet tracker is a device you attach to your pet (usually via their collar) that uses technology such as GPS or RF signals to keep track of your pet’s location. You can view their location using an app on your smartphone, or a dedicated handheld detector. Some trackers also work as an activity monitor, a bit like a Fitbit for your pet, and measure your pet’s activity and sleeping patterns. You can find out more details here about how pet trackers work. There are several things to look at when buying a tracker for your cat or dog. You’ll need to decide what tracking technology to use, and choose a device that is light and small enough for your pet, yet has sufficient battery life. Some of the GPS trackers are quite large and heavy, so not really suitable for cats and smaller dogs. Cost is also a factor, with quite a big difference in price between the basic and more advanced models. In addition, some GPS trackers also require you to sign up to a subscription plan – these typically cost you around £4-5 per month which can add up over time. Alternatively, some trackers allow you to fit your own PAYG SIM card instead, which may work out cheaper as there is no monthly fee. There are also various features available, such as the ability to create a virtual fence (Geofence) to alert you if your pet goes in or out of that pre-defined area. You’ll also find that the quality and functionally of the smartphone apps can vary between trackers. Some apps just give you the basic tracking options, while others include detailed activity monitoring and lots of options to customise your device. There is also a range of different levels of support. Some trackers have excellent instruction manuals and good customer support, while others are less user-friendly. Battery life is another factor to consider, as this can range from hours to weeks or even months depending on the type of tracker, size, and how you use it. Some devices have removable batteries, so you can quickly swap with a fully charged spare. 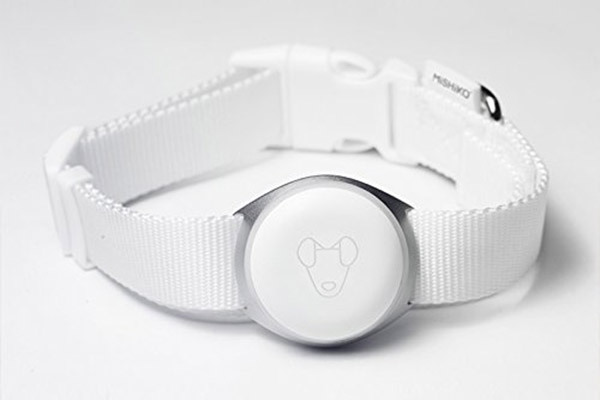 The Marco Polo pet tracking system from Eureka Technology uses Radio Frequency rather than GPS, which means it doesn’t require a cellular data connection. You get a tag to attach to your pet’s collar, and a handheld monitor. The handheld monitor is very basic compared to the trackers with smartphone apps, but is functional rather than pretty. It’s a bit more advanced and also larger than the monitors that you get with other RF trackers. This has a range of up to 2 miles away, and will work anywhere, as it doesn’t rely on a mobile phone or Internet connection. When tracking your pet, it shows you the direction and signal strength which helps guide you to your pet’s location. You can track up to 3 pets on one handset if you purchase additional tags. Unlike any of the other RF pet trackers in this review, you can configure a safe zone. This is similar to a Geofence, and the locator will check your pet’s location every 40 seconds, and alert you if your pet goes outside this area. The alert will only sound on the handheld locator though, so you won’t be notified the same way as with the GPS trackers, which send an alert to your smartphone. If you need to then find your pet, simply press the button and the handheld locator will send a signal to the tag on your pet’s collar every 5 seconds. Each time the tag receives the signal, it sends back a reply and the locator measures the strength of this signal and works out the location. Then you simply follow the arrow to where your pet is! The tag attaches to your pet’s collar via a nylon holder, which fastens to the collar with Velcro straps. It only weighs 22g, but requires a collar with a minimum length of 7 inches so may not be suitable for very small cats or dogs. The tag is also waterproof and rated to IP67 – more than enough to cope with your pet swimming or being out in the rain. Battery life is excellent, with the collar tag lasting up to 6 weeks on one charge. This can then be recharged via a USB port, so although the set comes with an American plug, you can use any USB charger. The price of over £200 may seem high, but when you take into account that you won’t need to pay any mobile data or monthly subscription fees it isn’t actually that bad. One downside though is that it is only available from the US, so will take longer to be delivered and you may be charged import taxes. At first glance this seems quite basic and expensive, however this RF tracker is a good quality product that is more advanced than the other RF trackers in this review. As it doesn’t rely on GPS or cellular data it will work in areas where GPS and phone signals are weak, and will also not cost you any additional monthly fees. The Findster Duo GPS pet tracker is unique amongst GPS trackers in this review in that it doesn’t require a cellular data service. Instead, it relies on a small receiving device that you carry that is paired with the transmitter worn by your pet (hence the Duo name). This means that there are no monthly fees, and you don’t need to buy your own SIM card. It also means Findster Duo works anywhere, as it doesn’t rely on mobile phone coverage. The Pet module has a GPS receiver, and attaches to your pet’s collar. This then communicates with the Guardian module, which you carry with you, via Radio Frequency (RF) using Findster’s MAZE technology. The two modules can communicate up 3 miles away depending on the environment – this will be reduced in built-up areas, but should still be at least 1/2 mile. The Guardian module then transmits the data to the Findster app on your smartphone via Bluetooth, which has a range of around 2 metres. Findster gives real-time GPS tracking with location updates sent every 10 seconds. As well as the map view of your pet’s location, you can also select a radar view, which points you in your pet’s direction and shows how far away they are. Virtual leash – this safe area is centred on your phone’s location, and moves with you. If your pet goes outside this area you’ll be notified. This is handy when walking your dog for example, and you don’t want them to stray too far. Safe zone – a customisable fixed location of any shape, and you’re notified if your pet moves out of this area. Danger zone – similar to the safe zone, but you’re notified if your pet moves into this area. As well as location tracking, Findster is also an activity monitor (a bit like Fitbit for pets) and the smartphone app gives you details on your pet’s activity. These details include distance covered, hours walking and calories burned. There’s also a leaderboard so you can compare your pet’s activity with other pets in your area. You can also set up daily goals, and activity notifications so you’ll be alerted if your pet hasn’t been active enough that day. The two modules are charged via a magnetic charger, however you need to be careful and place them together on a flat surface as they can disconnect quite easily. Battery life is up to 12 hours if you’re using the GPS tracker, but will last for a lot longer (up to a week) if you disable this and only use the activity monitor function. One important thing to note is that your phone and the pet module need to be within about 2 metres from each other to change the setting, so if GPS is disabled and your pet wanders off out of sight you won’t be able to switch it back on to track them. The Pet module is waterproof, however the Guardian module isn’t, so if your pet goes for a swim you’ll have to resist the temptation to join them! Findster Duo is the only GPS pet tracker in this review that doesn’t require a monthly subscription or your own SIM card. The initial cost may seem high to start with, but you’ll save money over time. It’s also packed full of features, has excellent documentation and support so comes highly recommended. 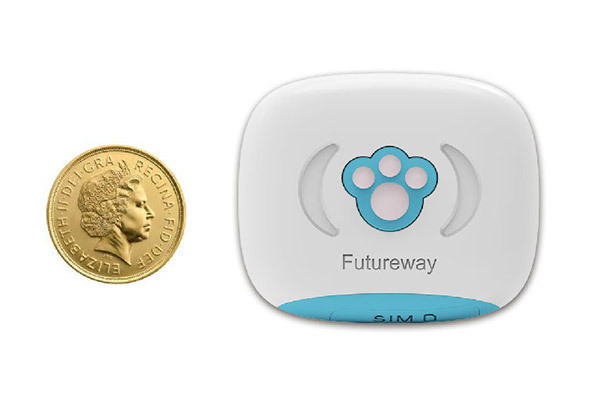 The Mini GPS Pet Tracker from Futureway is a GPS tracker designed for both cats and dogs. 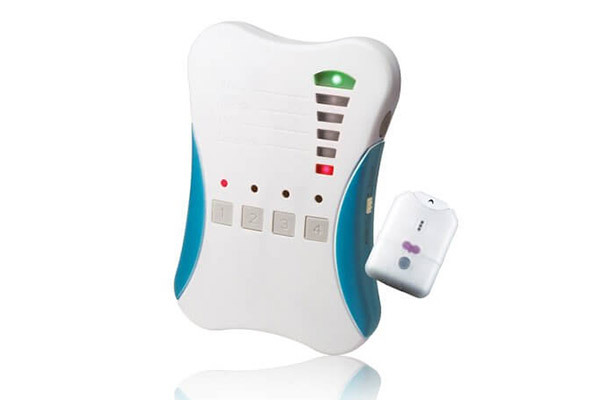 Similar to a number of other GPS pet trackers, this one also requires a cellular data connection. However unlike some devices that require a subscription, this one allows you to use your own micro SIM card. It’s estimated that the tracker will require around 30MB of data per month, which will cost between 30p and £1.50 per month on most PAYG SIM-only tariffs in the UK. This GPS tracker also can use LBS to help locate itself if the GPS signal is poor. This is usually accurate to 500-1000 metres; depending on how many mobile base stations are within range. 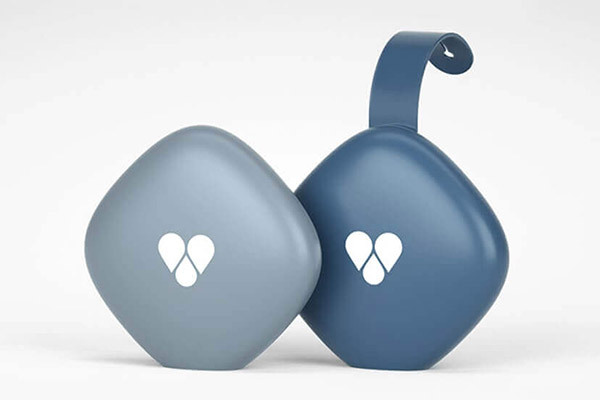 The tracker is a small device that fits into the supplied silicone rubber case. The rubber protective case then can be attached to the nylon collar that is also included. The supplied collar isn’t a breakaway safety collar, so is not recommended for cats. However it is simple to attach the tracker to another collar of your choice. Usefully, this tracker is also dust and waterproof, and rated at IP67. This should be more than adequate for pets playing in water or out in the rain. The 400mAh battery is sealed inside the unit, and is therefore not removable. It takes around 2-3 hours to recharge, using the supplied magnetic charging cable, which plugs in to a USB socket for power. Once charged, it should last between 3-5 days on a full charge. One useful feature is the tracker will send a low-battery warning to the app when it goes below 10% charge. Similar to other GPS pet trackers, this one has its own app, which you can download from the Apple App Store and Google Play. The app is called Future GPS. It’s possible to add more than one tracker to the app, however this involves requesting Futureway to create a new account for you. This tracker includes real-time tracking, as well as storing the historical track of your pet. It also has a Geofence function too, to notify you when your pet moves outside of a pre-determined area. This GPS pet tracker isn’t as polished as some of the alternatives, and is also relatively expensive initially. However if you are keen to use your own SIM card to avoid being tied into a monthly subscription then it is definitely worth a look. The Pro-track-tor Pet Tracker 227PA from Girafus uses Radio Frequency (RF) signals to track your pets within a range of up to 500m. This isn’t a GPS tracker like many other products in this review, so you won’t be able to track your pet in real-time or even see where they have been. What it does provide is the ability to locate your pet by using the hand-held locator device. It’s quite simple to use – you attach the tracking tag to your pet’s collar using the silicone case, and pair it with the handset. You can track up to 4 different tags with one handset, which is handy if you have more than one pet. Inside the silicone case, the tags are splash proof rather than water-resistant. It doesn’t have a Geofence function, however you can configure it to beep an alarm when a tag goes outside a set radius of 10m, 20m or 50m of the locator handset. To locate a missing pet, you start by turning around in the same spot several times. The remove will then guide you with the LED lights and beeps. The green light indicates when you are pointing in the right direction, and there are 3 red LEDs that indicate how far away you are. The beep gets higher pitched as you move closer to the target as well. This type of tracker isn’t as quite as easy to use as a GPS device that gives you a live location on a map. However one advantage RF trackers have over GPS is that they work in locations where GPS does not. For example: under trees, or in a building. Thus you could still locate a pet trapped in a locked garage with this device when a GPS tracker wouldn’t. Another advantage is that you don’t have to pay any monthly fees for mobile data or subscription costs. The tag devices use CR2032 batteries, which last for up to 15 days depending on usage. Kits now come with a rechargeable version (LIR2032) that lasts for twice as long, and is also more environmentally friendly. The handset takes two AAA batteries, which last for up to 120 days with 10 minutes of tracking per day. You can buy additional tracker tags once you’ve purchased the device, however if you think you’ll need more than one tag, then it’s cheaper to buy a set with 2-4 tags included initially. This pet tracker doesn’t offer all the bells and whistles of some of the GPS trackers, but it’s good value alternative. It’s affordable, lightweight, works where GPS doesn’t and has good battery life. 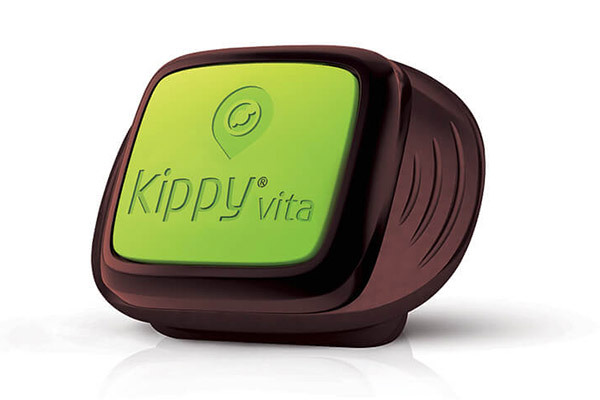 The Kippy Vita is a GPS Tracker for cats and dogs, designed and made in Italy, which also includes an activity monitor. The Vita offers everything from live GPS tracking, to a history of your pet’s movements for the last 2 months. It also gives you a summary of your pet’s activity, including how many calories they’ve used – it’s a bit like Fitbit for pets! Similar to other GPS cat and dog trackers you can also enable a Geofence, so you can be alerted if your pet leaves a specified area. You can do all this from your smartphone by downloading the Kippy App, which is available on Google Play and the Apple App Store. You can also login to their website (https://my.kippy.eu/) once you have an account, and track your pet from anywhere with an Internet connection. The Kippy tracker uses Assisted GPS (A-GPS) to determine its location, however if the GPS signal is weak, the device will give an approximate location using the triangulation of nearby mobile cell towers using the Location Based Service (LBS). This isn’t as accurate as GPS, but will still be better than nothing should the GPS signal be blocked. Similar to other GPS trackers with real-time tracking, this also needs a way to send data back to the central servers. This requires a subscription to one of the service packages that Kippy offer. The most cost-effective option is their Premium package which is £49.99 for 12 months. This works out to £4.17 per month, and includes roaming in Europe as well as several other countries. In the UK, this package uses Vodafone’s 2G network. The unit itself is slightly larger than other GPS pet trackers, so may not be suitable for very small dogs and cats (under 4-5kg) to wear on their collar. However it can also be attached to a harness, which Kippy actually recommend as it means the tracker gets a better GPS signal. The battery is charged using the supplied cable, plugged in to a USB port, and this takes around 2-3 hours. A full charge will last an average of 3-4 days, depending on how frequently it is set to update position. This GPS pet tracker is packed full of features for a reasonable price. The only downside is that it is a bit too large for smaller pets, so is more suited to dogs than cats. The Tabcat Cat Tracker from Loc8tor is an RF-based cat tracker. The tracking device is a small tag that attaches to your cat’s collar. You also get a credit-card sized handheld tracking device that will help guide you to your cat’s location. This tracker doesn’t use GPS, but in fact uses Radio Frequency technology. This means it won’t show you the location of your pet on a map, and relies on you being within a range of up to 122 metres (in clear line of sight). However the advantages of RF technology is that it will still work if the tracker is hidden from view, for example if your cat is indoors, or trapped in a shed. Loc8tor claim that the device is accurate to within 2.5cm. 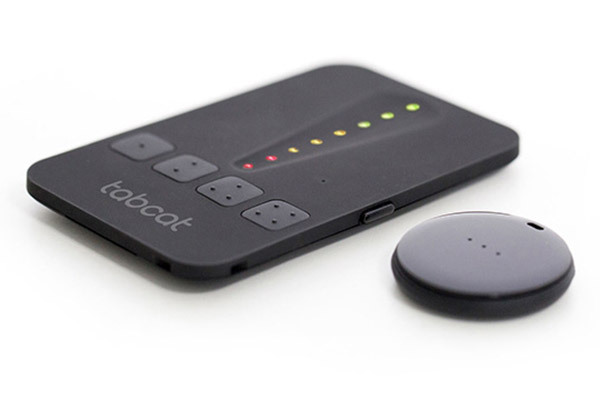 Similar to the other RF tracking devices, the Tabcat handset detects the signal from the tag on your cat’s collar, and uses a series of lights to guide you towards your cat. To locate a pet, you hold the handset in your hand and turn around slowly completing a full 360 degree circle. The beeping will increase in pitch and frequency, and the lights will change from red to amber to green as you point in the right direction. Simply face the direction of the strongest signal, and walk in that direction until all the lights illuminate. With a weight of just 6g, the tracking tag is the lightest in this review. It’s also the smallest, with a diameter of 32mm and a depth of 6mm. This makes it much more suitable for even small cats to wear, compared to some of the larger and heavier cat GPS trackers you can buy. Each handset can be registered with up to 4 tags – ideal if you have more than one cat. Two are included in the set, but you can buy more if needed. The set also includes two splashproof cases for the tags. Batteries aren’t included, but both tag and handset use a replaceable CR2032 battery, which is commonly available. The battery in the tag will last for up to a year – this compares very well to other similar trackers. One useful feature is that when you press the registered button on the handset, the tag worn by your cat will make a small beep. This should help your cat understand it’s time to come home – especially if you do some initial training so they associate the beep with getting a treat. If you’re looking to buy an RF cat tracker, then this is a worthy choice. It’s not too expensive to buy, and even better there are no ongoing costs. It’s also very light and small, so especially good for smaller cats and kittens. The Mishiki PET Dog GPS Tracker is a 2-in-1 device that combines real-time tracking with a fitness monitor. Like other GPS trackers, it uses a mobile data network to upload data. This means you need to pay a monthly subscription of £4.49, unless you buy the version with a lifetime data subscription. This will cost you £50 more to buy than the monthly subscription version, however you won’t have to pay a monthly fee, so it pays for itself after the first year. The built-in SIM chip will work in over 150 countries, so will continue to track your dog if you travel abroad. The tracker device is about 5cm in diameter, and 2cm deep which makes it a bit big for very small dogs. It comes with simple but good quality collar, but you can also attach it to your own collar. To use the tracking features, you will need to download the Mishiko App for your smartphone. This is available on the Apple App Store for iOS, and Google Play for Android phones. The Mishiko tracker has several features common to other trackers, including the ability to set up a Geofence. When this is configured, the app will alert you if your dog goes outside a pre-defined area. In addition to the real-time tracking of your pet’s location, it also logs details of where they’ve been. It also tracks fitness activity, a bit like a Fitbit for dogs. This helps set health goals for your pet, such as number of steps per day, based on the details of your dog that you provide when you configure the app. The app shows you the distance your dog has travelled, as well as the length of time they’ve been active for, but this isn’t broken down into the type of activity. This tracker features a couple of useful features that other trackers don’t. The first is wireless charging – this means there are no batteries to remove, or cables to plug in. Simply place the tracker on the charging base station and leave for 2-3 hours. The second useful feature is a backlight that flashes, making it easier to see your dog in the dark. It’s also possible to deactivate this light via the app by turning on the Power Save mode. It’s available in either black or white, with a matching collar. This is a good option if your dog isn’t too small, and you want a GPS tracker combined with fitness/activity tracking. The only downside is that the battery life isn’t the best, and the activity tracking features in the app are quite basic compared to some others. However with the option of a lifetime subscription package, it’s good value overall. 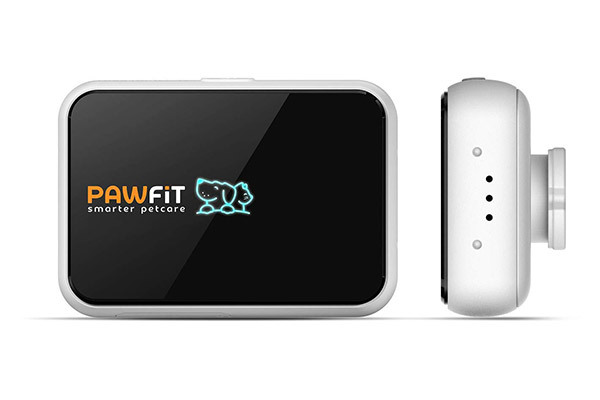 The Pawfit GPS Pet Tracker is another combined GPS location tracker and activity monitor. The tracker is embedded with various sensors including GPS, Wi-Fi and a 3-axis accelerometer to track your pet’s location, and record their activity. As with other GPS trackers, this requires a cellular data service to transmit location data back to the app, however you don’t need to pay a monthly subscription fee. You will however need to fit your own SIM card, which can work out cheaper. As GPS isn’t always the most accurate way to track a pet, Pawfit also uses WiFi and cellular technology to give an accurate location. If the GPS signal isn’t very good, it uses nearby WiFi and mobile phone tower information to approximate your pet’s location. Depending on signal strength, the accuracy of this can range from several metres to a few kilometres. It also has a feature to use light and sound to help you locate your pet when you get within a few metres. The device also detects if it is within range of your home WiFi, and doesn’t turn on the GPS module until your pet moves out of your WiFi range, which saves battery power. Similar to other GPS trackers, Pawfit has a smartphone app that you will need to download. It’s available on Apple App Store, and Google Play and is compatible with Apple’s iOS 9.0 or later, and Google’s Android 5.0 or later. You can also invite anyone else with the Pawfit app installed to help look after your pet, and those you invite will be able to track your pet’s locations and activity as well as receive alerts. Like other GPS trackers, Pawfit allows you to track your pet in real time, with position updates every 5 seconds. It also allows you to create up to 10 virtual Geofence areas, and alerts you when your pet moves outside of this area. In addition to location tracking, Pawfit also includes an activity tracker. It records details about how many hours your pet has been active, as well as distance walked/run and calories burned. The Pawfit can be attached to any collar or harness up to 32mm wide, and has an easy attachment system where the Pawfit clips into the collar attachment. There is also an alarm that alerts you if the Pawfit device is removed from the collar. Pawfit will also send you an alert if it detects the temperature is too high or low. With a size of 50mm x 34.9mm x 12.7mm, and weight of just 30g it isn’t as large or heavy as some of the other trackers in this review. However this is still a little too big and heavy for some cats. One useful feature that Pawfit has is an audio tag button. When you register the device, you enter information about your pet and you (e.g., your dog’s name and your phone number). If your pet strays and is found by a stranger, they can press the ID button, and Pawfit will convert this information to audio and read it out. 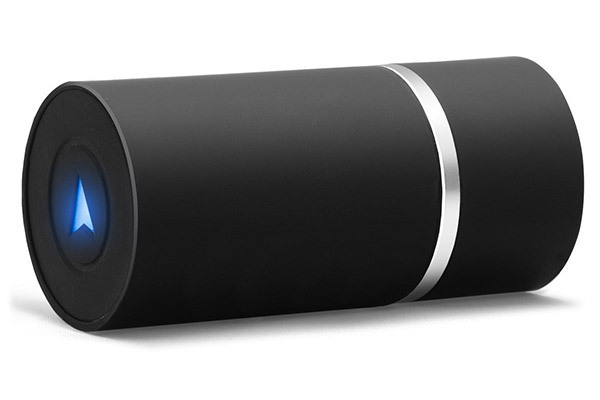 The internal battery lasts around 4-5 days depending on use, and takes 2.5 hours for a full charge. Pawfit is a comprehensive tracker and activity monitor with lots of useful features, plus you aren’t tied in to paying a monthly fee. It also has decent battery life, and a reasonable price so is definitely recommended. The Halo V4 GPS cat tracker from UK company PawTrax is one of the few GPS cat trackers that is designed specifically to fit on a cat’s collar. Like other GPS trackers, this requires a mobile data connection. You can buy it with a GiffGaff (O2) SIM, or you can supply your own SIM card. This means you don’t need to pay a monthly subscription to PawTrax. 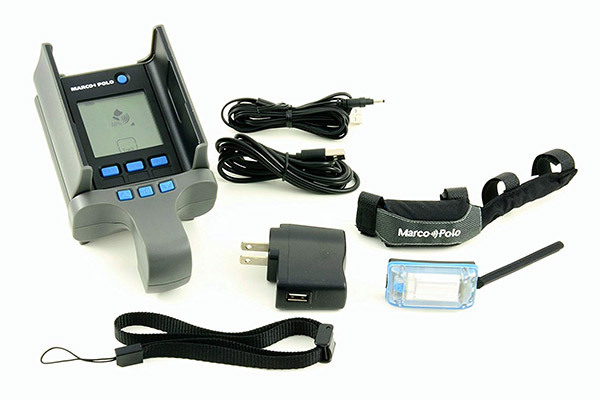 Unlike most of the other GPS trackers in this review, the PawTrax Halo doesn’t have an app – you simply send a text to the GPS collar from your own phone, and it will reply back with a text containing a map link that will show your cat’s location in Google Maps on your phone. It is possible to view real-time live location updates and historic trails as well, however this does require an optional subscription to the PawTrax website. This does costs an extra £25 per year, although you do get a 1-month free trial. You can also set up geofences via this website, and receive alerts if your cat moves outside of the specified area. The tracker comes complete with a Beastie Bands safety collar, which is available in a number of different colours and designs. You can also fit the tracker to your own collar if you choose. It’s also supplied with a USB charger. The tracker is suitable for cats with a neck size (circumference) of 16cm and above, so should fit all but the smallest of cats. The lightweight and sleek profile also make it particularly suitable for cats compared to other trackers in this review. A basic and not particularly cheap GPS cat tracker, but the size, shape and weight make it better suited to cats than many of the other GPS pet trackers available to buy. The Pod 3 GPS pet tracker is a combined GPS tracker, and activity monitor with the latest location tracking technology. 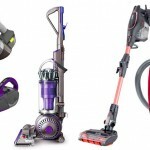 It has been designed to fit a wide range of pets, including cats and dogs. Like many of the pet trackers in this review, it requires a 2G or 3G cellular data connection to transmit data from the tracker. This is done via the built-in SIM card that connects to the Vodafone network in the UK. Like other similar trackers, you will need to pay a subscription fee to use the device. This is £6.95 per month, or £47.40 for an annual subscription, which works out to £3.95 per month. This gives coverage in 175 countries, via 2G or 3G data networks. The tracker doesn’t just use GPS to locate your pet – it also uses Wi-Fi and Bluetooth. The Pod will recognise when it’s within range of your home Wi-Fi, and thus won’t attempt to use GPS as it assumes your pet is safely at home. This helps to conserve battery life. If GPS signals are poor, for example indoors, the Pod will scan surrounding Wi-Fi networks, and uses Google’s global Wi-Fi database to try and work out your pet’s location. Finally, the Pod will also use Bluetooth to help with close-range location when your pet is near to your phone. This is accurate to around 3m (10ft), compared to the 10m (30ft) accuracy of GPS. As with most other GPS pet trackers, there is a smartphone app for you to download – this works on both iOS and Android devices, and can be found in the Apple App Store, or Google Play. You can also access your account on a normal web browser from your computer or phone. Standby – this gives the longest battery life, but only records your pet’s location every 3 hours. You can manually locate your pet at any time by using the “refresh” button in the app. Safe Zone – the Pod checks your pet’s location every 5 minutes (you can change this interval to between 2 minutes and 2 hours if you want), and will check to see if your pet is in our out of any defined safe zone, then sends you a notification if they have left the area. This uses more power, so battery life is reduced. Adventure Mode – this mode stores your pet’s location every 10 seconds. You might want to use this mode when walking your dog, or when your cat goes out for the night if you want to see exactly where they go. This reduces the battery life down to 8-10 hours, and also disables the safe zone alerts. The Activity monitor feature allows you to monitor your pet’s activity, and will display the amout of time your pet spends walking, playing and resting. You can configure daily targets for each of these, and the app will highlight when your pet achieves their goal for the day. The Pod will store up to 6 days of activity history, and this will need to be sync’d to your phone via Bluetooth, which you do within the app. You can also create “Safe Zones”, which are Geofences. Unlike some other trackers, the Pod 3 only allows you to create these as a circle rather than custom shapes. You can however create as many as you like. The Pod comes supplied with 2 rechargable batteries, and a USB charger so you can continue using the device when you’re charging one of the batteries. It also comes with two rubber straps, which you use to attach the Pod to your pet’s collar or harness. You can also purchase additional batteries, including a larger XL battery for even more battery life. It’s possible to register several Pods to the app, so you can track multiple pets on your phone simply by adding new pets within the app. With a weight of 31g, and a fairly small size, the Pod 3 is suitable for all but the smallest of dogs, and most cats too. The Pod3 is a new design of GPS pet tracker, and has pretty much everything you need in a relatively small and light package. It’s not the cheapest GPS tracker though, especially when you take into account the monthly subscription. The TKStar TK911 GPS Pet Tracker is an updated version of their previous TK909 model. As well as the usual GPS, this model also uses Assisted GPS (A-GPS), Location Based Service (LBS) and Wi-Fi to help calculate its location. This means it should be more accurate than a pure GPS tracker, especially in areas where GPS coverage isn’t great. To view your pet’s location, you can download the TKStar app for your smartphone, or use their website. You can also locate your pet by sending a text message to the tracker, and it will reply back with a Google Maps link. As well as live tracking, it also gives you a historical track of where your pet has been. It’s also possible to set up Geofence zones, and you’ll be alerted if your pet ventures outside of them. As with all GPS trackers, it requires a cellular data connection, but you can fit your own 2G micro SIM card so aren’t tied in to a monthly subscription plan. To do this, you need to unscrew the case and take it apart – there’s a helpful video online that shows how to do this. https://www.youtube.com/watch?v=NXbK4zsyq18. It’s important that your SIM does not have a PIN code, as otherwise it won’t work. The tracker itself isn’t the smallest available, and is probably a bit big for smaller cats and dogs, however at 33g it is quite light. It comes complete with a collar, but it’s not a breakaway collar so really only suitable for dogs. You could fit the tracker to a cat’s safety collar, but you may struggle to get the clips through the slots on the tracker without modifying the collar. This tracker has all the tracking features you would want, without any of the frills. It’s reasonably priced compared to most other trackers, especially as you’re not tied in to paying a monthly subscription. The main downside is that it is fiddly to set up, and not very well documented or supported. 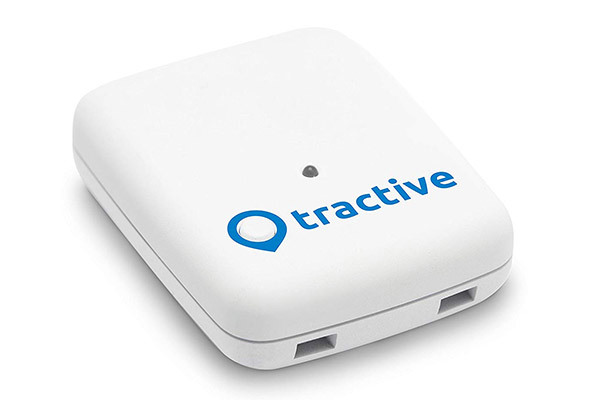 The GPS Cat Tracker from Tractive is, as the name suggests, a GPS tracker for cats. Unlike most cat trackers, this is an all-in-one device with the tracker integrated with the cat collar. The collar is a breakaway collar for safety, so your cat won’t be at risk of being injured if the collar gets caught on anything. The collar is adjustable, and is suitable for cats with a neck size from 19-30cm (7.5 to 11.8 inches). With a total weight of 50g including the collar, it is recommended for cats over 3.5 kg in weight. 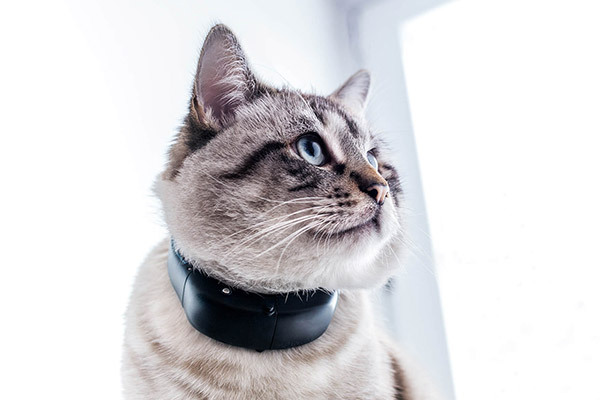 The collar is also waterproof (rated at IPX7) and shock resistant too, so should withstand any punishment your cat can throw at it. 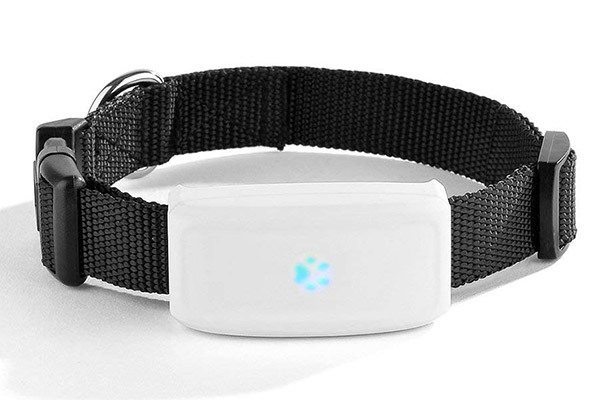 This cat tracker collar uses GPS and also requires a cellular data connection to work. For this, you’ll need to subscribe to one of the two Tractive subscription plans, which start at £4.49 per month (£3.33 if you take out a 2 year subscription). The plan covers the cost of any data communication that the cat tracker uses via mobile networks, so you don’t need to provide your own SIM card. The Premium plan allows you to track your cat in over 150 countries worldwide – ideal if you travel with your cat. 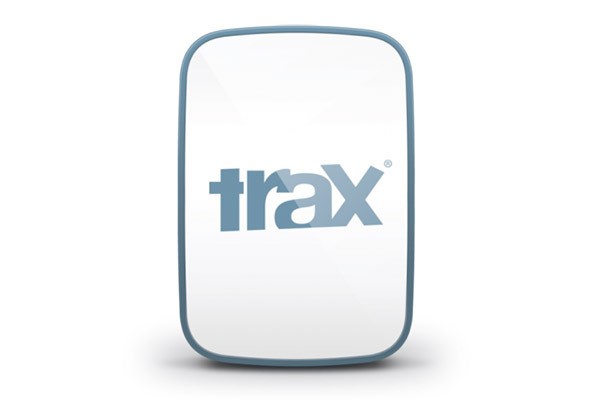 To use the tracker, you’ll need to install the free Tractive smartphone app. The app is available for both iPhone and Android, and is available on the Apple App Store and Google Play. The app allows you to track where your cat is, and also records details about your cat’s daily activity – a bit like a cat version of a Fitbit. With this, you can tell how much your cat moves during the day, and provides you with useful information about how active they are. You can also view the location history of where your cat has recently been overlaid on a map. By default, the position tracking updates every 60 seconds or so, but you can enable Live tracking which updates your cat’s location every 2-3 seconds. Another useful feature is what’s called a Geofence. This is a virtual fence that you can set up within the app, and as soon as your cat moves outside this area you receive an instant notification on your smartphone. This is handy if for example, you wanted to define your back garden as a safe location, and be notified if your cat were to wander outside the garden. The tracking collar is powered by a removable rechargeable battery, which lasts for 2-5 days depending on cellular coverage. The smartphone app has a useful battery strength display so you can always tell how much charge it has left. When you do need to recharge it, it takes around 3 hours for a full charge. As the battery is removable, you can buy spare batteries so you can keep using the collar while one battery is being charged. The Tractive GPS Cat Tracker packs a lot of features into a compact and relatively light device, for a reasonable price. If you’re looking for the best cat GPS tracker, then this is definitely a contender! The GPS Dog Tracker is a GPS tracker for dogs from Tractive, who also make the GPS Cat Tracker. Unlike the cat device that is built-in to the collar, the dog tracker is a separate unit. 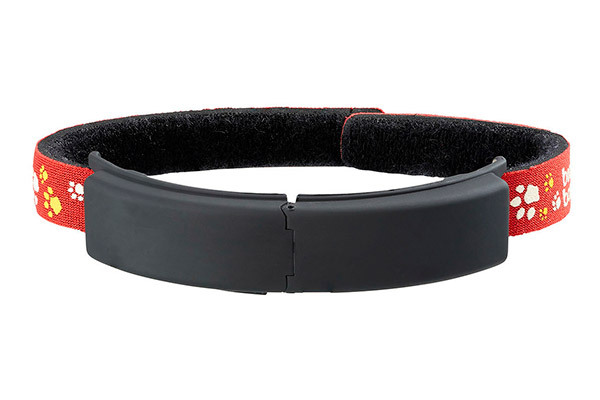 The tracker device can be fixed to most collars. The tracker itself weighs 35g, and measures 51mm x 41mm x 15mm in size. 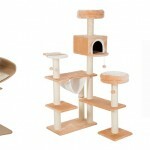 This is slightly too big for the majority of cats and small dogs, so is recommended for dogs above 4.5kg. The basic functionality of the unit is similar to their GPS cat tracker. This means it works with GPS and a cellular data connection. For this, you’ll need to subscribe to one of the two Tractive subscription plans, which start at £4.49 per month (£3.33 if you take out a 2 year subscription). The plan covers the cost of any data communication that the tracker uses via mobile networks, so you don’t need to provide your own SIM card. The Premium plan allows you to track your pet in over 150 countries worldwide – ideal if you travel abroad with your dog. As well as the standard tracker, you can buy a couple of different models. There is the Tracker XL that is designed for larger dogs. The device is larger and heavier, but this allows it to have a larger battery that lasts for up to 6 weeks on one charge. At 142g, and with a size of 80mm x 49mm x 29mm, it is best suited for larger dogs above 20kg in weight. There is also a Hunter edition, which is the same size and weight as the standard version, but comes in a camouflage design. All 3 models are waterproof (IPX7) and shock resistant. The batteries on the dog trackers are not removable, so you can’t use the tracker while you charge it. A full charge takes around 2 hours for the standard tracker. 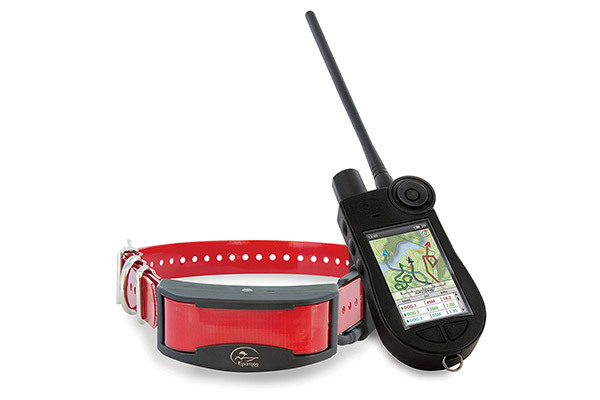 The dog trackers have most of the functionality that the cat tracker has, with the exception of activity monitoring which isn’t available on the dog tracker. This tracker does include live real-time GPS tracking, and the ability to set up a Geofence. This is a virtual fence that you can set up within the app, and as soon as your dog moves outside this area you receive an instant notification on your smartphone. This tracker also allows you to view location history, so you can see where your dog has been. The Tractive GPS Dog Tracker packs all the key features of a GPS tracker into a compact and relatively light device, for a reasonable price. The G+ Pet Tracker is the latest version of GPS tracker from Trax, and will be one of the newest pet tracker devices on the market when it’s available to buy in March 2019. It offers the features you find on most GPS trackers, as well as a few new ones that most other trackers don’t yet have. There are two versions available for use in the UK – a 2G version, and a slightly more expensive 3G version which will also use the 2G network if 3G isn’t available. As with other GPS pet trackers, there is a smartphone app available for Apple and Android devices. You can also access it directly from the web. You also need to pay for a data subscription plan as the SIM card is built-in, and you can’t use your own. This costs from £49 for a 6 month plan, to £86 for a 24 month plan, and gives you cover in over 100 countries. You can view the location of your pet in real time, as the Trax device can send position updates as frequently as every 10 seconds. You can also set up an unlimited number of custom Geofences so you receive alerts when your pet enters or leaves a specified area. These can also be set to only work at scheduled times, so you can create these to reflect your daily routines. It’s also possible to set up proximity alerts, which work by you setting up a digital circle that moves with you, and you receive an alert if your pet leaves this circle. This would be useful when walking your dog for example, and means you’d know straight away if your dog wandered further than a specified distance from you. Probably the coolest feature of this tracker is the Augmented Reality Tracking function, which is in addition to the usual map view. This uses the camera on your phone to show you live images, and when you’re pointing in the right direction you’ll see a pin showing the location and distance of your pet. Compared to other GPS pet trackers, the Trax G+ is smaller and lighter, so should be suitable for all but the smallest dogs and most cats too. It’s also shock and waterproof, and can handle being immersed in fresh water for up to 30 minutes at a depth of 1m. This is also one of the few trackers that uses wireless charging, and each charge should give you up to 72 hours of use. To help save battery life, you can configure the GPS location update frequency that you want your Trax to be set at, with intervals from every 10 seconds, up to 1 hour. This isn’t the cheapest GPS pet tracker available, but if you want one of the smallest with some cool features then it’s the one to go for. It does however lack the most accurate tracking technology that some alternatives have, and also doesn’t include an activity tracker. 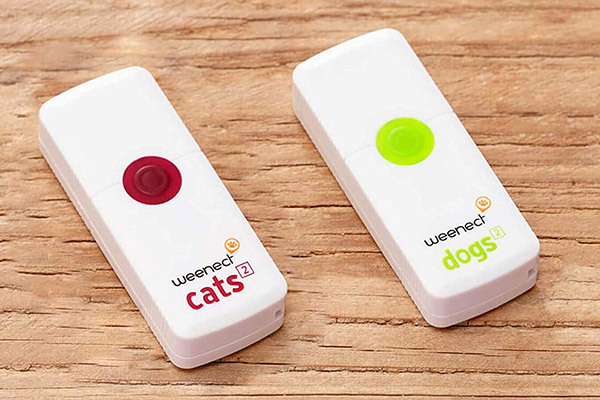 Weenect sell two very similar GPS trackers for cats and dogs – the Cats 2, and the Dogs 2. Despite the different names, they have exactly the same functionality, and only the colour and branding is different. They both use GPS for location tracking, combined with a 2G cellular data connection. The tracker comes supplied with an in-built SIM card. To use the tracker, you’ll need to sign up to a subscription package with Weenect. These range from around £7.20 per month if you pay monthly, to £3.20 per month if you pay for a 2-year subscription up front. Weenect is a French company, therefore the subscription charges are in Euros so the amount you pay in £ will vary slightly depending on the exchange rate. Similar to other GPS trackers, you’ll need to download an app onto your smartphone to track your pet. The app offers live location tracking with a map view, and also an augmented reality view which is a cool feature not many other trackers offer. This overlays an icon showing the distance and direction of your pet over a live view from your phone’s camera. There’s also a really simple compass view, which simply shows an arrow pointing in the direction of your pet, and distance. Another feature that is standard with most similar trackers is the ability to see where your pet has been, with a location history. This tracker has a feature where it also shows you how long your pet has been in a particular spot – handy for seeing where your cat likes to nap. It’s also possible to set up an unlimited number of Geofence security zones, so you’ll be notified by the app if your cat or dog enters or leaves this area. Unlike some trackers, these zones can only be a circle rather than a custom shape. The Weenect Cats 2 and Dogs 2 tracker also has some other features that most other trackers don’t. By pressing a button in the app on your phone, you can make the device vibrate or ring. By associating this vibration or sound with food, you can train your cat to come home at the press of a button. The ringing noise also makes it easier to locate your cat if he or she is hiding nearby. This is also handy if your pet loses their collar, as it makes it easy to find even if the collar is hidden under a bush for example. Another feature, which is a first for the Weenect tracker, is that you can call the device and actually speak to your cat or dog! Although the usefulness of this feature really depends on how well your pet understands you. Within the app you can set the GPS tracking interval from 30 seconds up to 1 hour, and also enable what they call a “super live mode”. This sends an update of your tracker’s position every 10 seconds for a period of 5 minutes. There is also an activity tracking feature, although this is quite basic compared to some of the other activity trackers available. The tracker slips into a silicone case, which attaches to your pet’s collar. It’s waterproof, with one of the highest ratings of any tracker in this review, and can cope with being submerged in 1m of water. The battery lasts for up to 4 days, and is charged by placing the tracker in the charging cradle, which is powered via USB. The app allows you to track more than one pet, although you’d still need to purchase additional devices, and pay the subscription fees for each one. The Weenect Cat or Dog tracker is an excellent choice. It has all the features you need in a GPS tracker, and some other useful features as well that many other trackers lack. It’s lightweight, amongst the smallest pet GPS trackers we’ve reviewed, and at a reasonable price too. While this review covers the trackers that typical cat and dog owner would buy, there are also more professional devices available to buy that are worth a brief mention. The SportDOG GPS tracker is designed for people who use their dogs professionally to hunt and track, and the price point of around £600 means it is definitely not for everyone. Unlike the consumer GPS trackers in this review, this one doesn’t need a cellular data service, but instead transmit the dog’s location to a handheld device. This has a range of up to 10 miles, and can track up to 21 dogs at one time. The tracker uses data from both GPS and the Russian GLONASS satellite systems to give additional accuracy. The handheld device has 1:120,000 topographic maps pre-loaded, so you can view your dog’s location on a map showing the actual terrain – useful if you’re out in the countryside. You can also specify a Geofence by drawing a shape on the handheld tracker device, and it will alert you any time a dog travels through the boundary. The collars are also waterproof to a depth of up to 7.6m, and come with a 3-year warranty. If you want the very best GPS dog tracker and money is no object, then this is the one to go for! Can You Put a GPS Tracker on a Cat? The answer is yes, although most GPS trackers are only suitable for larger cats due to their size and weight. Do I Need a Tracker if My Pet is Microchipped? A tracking device is not a replacement for microchipping your pet, as a microchip is only useful if someone finds your pet, and has access to a micro-chip reader. A pet tracker will enable you to find your pet as soon as you realise they are lost, and should guide you to their exact location. How do Pet Trackers Work? The various pet trackers use several different types of technology to locate your pet. The most common type of tracker uses GPS, while the more basic trackers use Radio Frequency. Both have their advantages and disadvantages. How do GPS Pet Trackers Work? GPS pet trackers use a GPS receiver to calculate its position, and a GSM data module to transmit the information to a server on the Internet, which then sends it to an app on your smartphone. Quite a lot of amazing technology goes into a GPS tracker to obtain an accurate location. The GPS system is made up of approximately 30 satellites that are moving at roughly 8,700 miles per hour around the Earth, and these transmit a radio signal containing details about their position. As long as a receiver is in line of sight of at least 4 satellites, it can use this data to calculate its position. The most accurate GPS receivers can pinpoint their location to within 30cm – pretty impressive! GPS works globally, and will give very accurate location if the receiver can “see” enough satellites. The downside is that sometimes GPS signals can be blocked (for example in a dense forest or indoors), which can reduce the accuracy or even make it impossible to calculate a location. To help with this, some GPS trackers use additional tracking technologies such as Wi-Fi or LBS to help when they can’t get a GPS signal. How do Radio Frequency (RF) Pet Trackers Work? Radio Frequency tracking is also known as Radio Frequency Identification (RFID). This is a technology where a transmitter (fitted to your pet’s collar) emits a unique digital signal. The handheld receiver can pick up this signal, and can pinpoint the location by measuring the strength of the signal. They have a number of advantages over GPS trackers. As these trackers use radio waves, they will also work indoors or undercover. They also use less energy, so battery life is much better than with GPS trackers. Another advantage is that the tags are usually considerably smaller and lighter than GPS collars making them suitable for even the smallest cats and dogs. Their main disadvantage is that you need to be within a certain range to detect the radio signal. However this may not be an issue most of the time, as BBC Horizon showed most cats are territorial and don’t travel too far from their home.